Motorhome and caravan drivers need more than just a basic sat nav when travelling on unfamiliar roads. Low bridges and width restrictions can cause serious problems. To help solve this problem and provide sensible and stress-free routing for motorhomes, ALK Technologies has developed the all-new CoPilot Caravan sat nav app. Despite its name, this app is designed for motorhomes and caravans. You can choose what type of vehicle you’re travelling in and enter your vehicle’s dimensions. 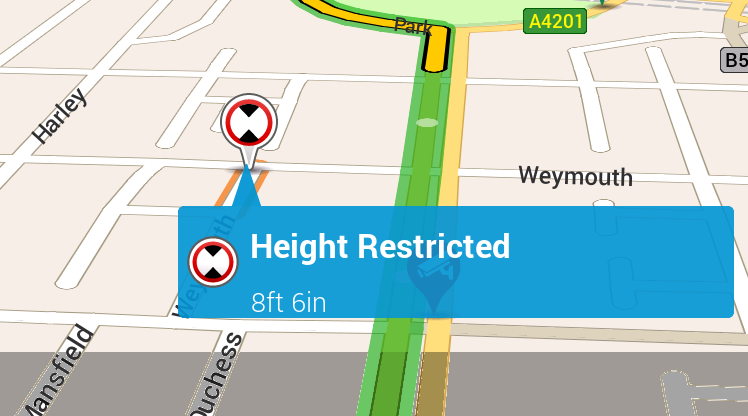 The CoPilot app will then devise a suitable route, flagging up any low bridges or other restrictions along the way. 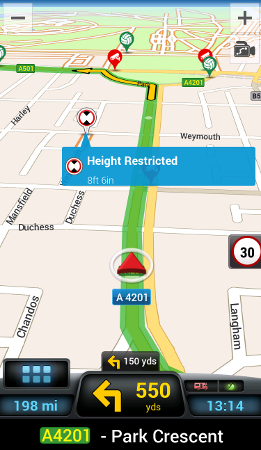 CoPilot Caravan normally costs £49.99, but to celebrate the launch of this all-new sat nav app, we have two copies of CoPilot Caravan (UK edition) to give away! To be in with a chance of winning, simply leave a comment below telling us where you would most like to take a motorhome or caravan on holiday. Prize Details: Two lucky winners will each receive one download code enabling them to download and install a full version of the CoPilot Caravan sat nav app, completely free. You will need a compatible phone with built-in GPS. CoPilot Caravan is available for iPhone (iOS) and Android only. Deadline: All entries must be received by 11am on Thursday 7 April 2016. Picking up our brand new motor home next week, so excited! We eventually want to go to beautiful Norway in it but little steps, around Scotland first! Hi Julie, We had a fantastic trip to Norway in 2011 in our van. Check out our diary here, http://www.motorhomeplanet.co.uk/journeys-by-motorhome/norway-2011. Stunning views, we covered 4700 miles whilst in Norway! It’s a perfect place to take your motorhome. Tour the North Coast 500 around Scotland in our Hymer motorhome this Spring and travel the Napoleon route to the South of France this Autumn.